Its hardly warchalking is it. 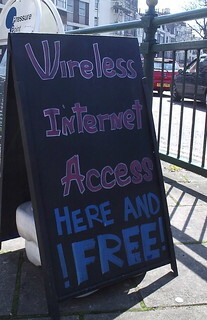 One of Brighton's many free wifi points. The Pressure Point pub in Richmond Place.